This is a list of frequently asked questions. If you have a question that is not listed here, please contact Keays Software. Q: Whenever I try to start one of the KEAYS programs I get the error message: *** Authorization failure ***. What does this mean? If you are using software licensing then your license has expired or you don't have a license yet. Contact KEAYS Software for a new software license. Refer to the GetSec tutorial for a guide on how to do this. If you are using hardware licensing (a dongle) this probably means that the program can't find the dongle. Check that the dongle is firmly attached to the parallel port. Also try installing the updated Hardlock drivers available in updates. If you have multiple dongles attached to the computer try changing their order as some dongles don't implement the passthrough that allows other dongles to connect through them. Q: I want to copy my colour setup on one computer to another. How do I do this? A: Use the Colour Manager located in the beta section to export your colors to a file on the source computer. Then copy the exported file to the destination computer and import it with the colour manager. Q: How do I set the colours used by KEAYS programs? A: Start up Preview. From the Colours menu click on the 'Select Colours...' option. When you have finished selecting colours click on the 'Save & Close' button in the bottom right hand corner of the screen. Q: I can't get into the Updates or Beta section of the website. I keep getting errors about not being logged in. What do I do? A: Create an accout by clicking the 'Create Profile' link in the upper right hand corner of the webpage. Once you have created an account enter the name and password into the boxes in the upper right hand corner and press the 'Log In' button. Q: How do I install KEAYS Software on my computer? A: First you need to obtain a copy of KEAYS software, either on CD or by downloading it from our website. Next install it by running SETUP.EXE. 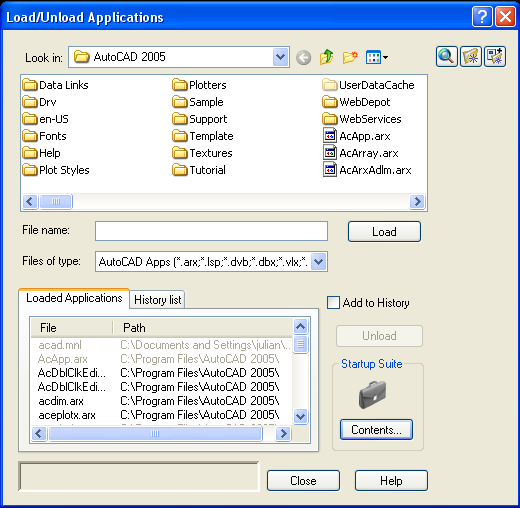 Note that the user must have administration privileges for the installation to succeed. When the installation is complete the KEAYS icon will appears on the desktop. Q: When installing the keays AutoCAD interface I get an error telling me it cannot run. C:\Winnt\System32\config.nt The system file is not suitable for running MS-DOS and Microsoft Windows applications. Choose 'Close' to terminate the application. config.nt The system file is not suitable for running MS-DOS and Microsoft Windows applications. Choose 'Close' to terminate the application. C:\Windows\System32\Autoexec.nt The system file is not suitable for running MS-DOS and Microsoft Windows applications. Choose 'Close' to terminate the application. Download the current Keays 2004 arx update, from the beta downloads area. Extract the contents into your Keays directory. First we'll set up the arx loading. Browse to your Keays Directory (or wherever you keep your Keays Software) and select the arx file you extracted from the zip file above. Browse to your Keays Directory (or wherever you keep your Keays Software) and select the mns file you extracted from the zip file above.